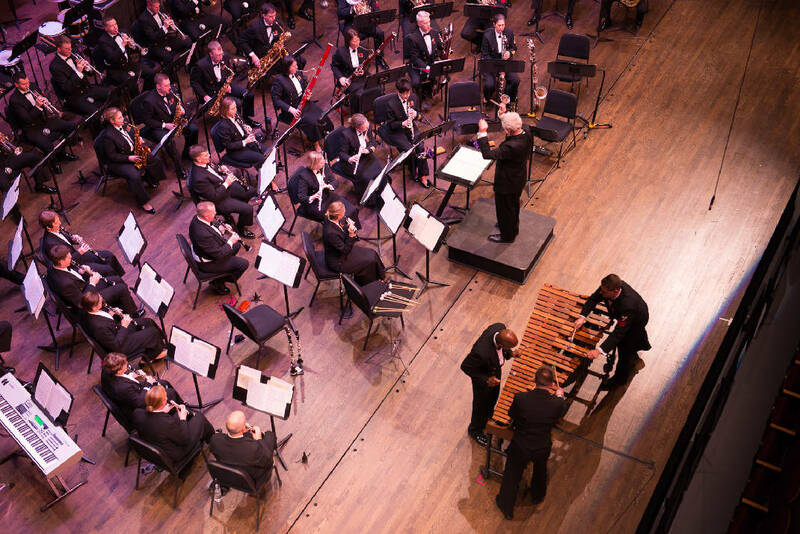 Senior Chief Musician Stacy B. Loggins, Chief Musician Randy A. Johnson, and Musician First Class Jeffrey R. DeRoche perform the Stubernic Fantasy with the U.S. Navy Band at Rachel M. Schlesinger Concert Hall in Alexandria, Virginia. The band will perform at Soddy-Daisy High School in Hamilton County, Tennessee on Feb. 22, 2019. (Photo courtesy of Chief Musician Brian P. Bowman). The U.S. Navy Concert Band will perform at Soddy-Daisy High School next month. 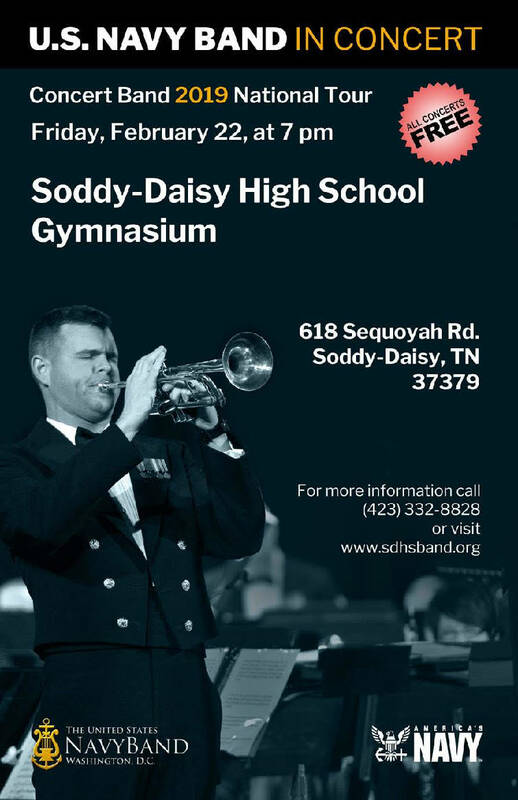 Soddy-Daisy was selected as one of 25 cities in 10 states to host a performance by the United States Navy Band during its 2019 tour. The Navy Concert Band, the premier wind ensemble of the U.S. Navy, presents a wide array of marches, patriotic selections, orchestral transcriptions and modern wind ensemble repertoire, according to a news release. The band has been performing public concerts and participating in events for more than 90 years. The band previously performed in Chattanooga in 2014 at the Soldiers and Sailors Memorial Auditorium. The Navy Band's Brass Quintet performed at the University of Tennessee at Chattanooga in 2017. The performance is at 7 p.m. on Feb. 22 in the Soddy-Daisy High School Gymnasium, 618 Sequoyah Road, Soddy-Daisy. The event is free and open to the public, but tickets are required. Tickets are available online at www.sdhsband.org. For more information, call 423-332-8828. 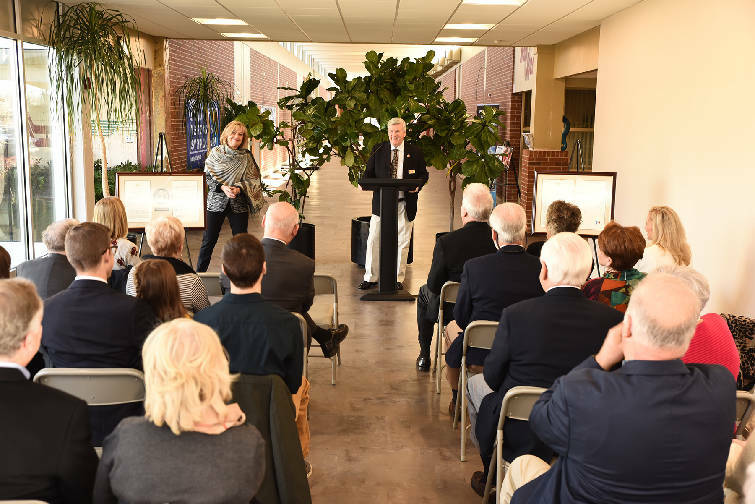 Chattanooga State Community College representatives, elected officials, and Tennessee Board of Regents members honored the late Sen. Ray Albright and the late Rep. Paul Starnes at a special ceremony Jan. 11. Lawmakers and community leaders acknowledge the legacy both men left in the community and at Chattanooga State. Two buildings on Chattanooga State's main campus are already named after the men and thousands of students pass through the Albright Omniplex and Starnes Student Center each year, according to Rebecca Ashford, president of the college. "You will be pleased to know how well our students are doing. With a 97 percent job placement rate and 98 percent licensure pass rates, our graduates are well prepared," Ashford said in a statement. Sen. Albright sponsored the original legislation that established Chattanooga State as a technical community college. Sen. Todd Gardenhire, R-Chattanooga, acknowledged the honorees with Senate Resolution 144 and Joint Senate Resolution 84, which were also presented at the event. 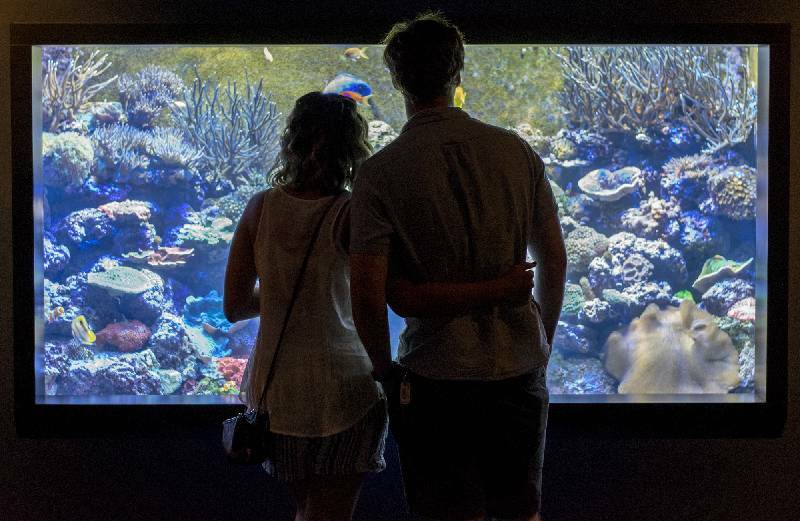 College students, faculty and staff, and members of scouting organizations can receive a 50 percent discount on admission to the Tennessee Aquarium and to screenings at the IMAX 3D Theater between Feb. 1 and Feb. 28. To receive the scout or College Days discount, scouts must wear their uniform or sash and students must present a valid student ID or online transcript to verify enrollment. College staff and faculty can present a pay stub to enjoy reduced admission. The discount rates are $17.50 for adults and college students to visit the aquarium or $11 for children ages 3 to 12. For more information or to purchase tickets, visit www.tnaqua.org or call 1-800-262-0695.